Isn’t life too short to stuff a Nasturtium? 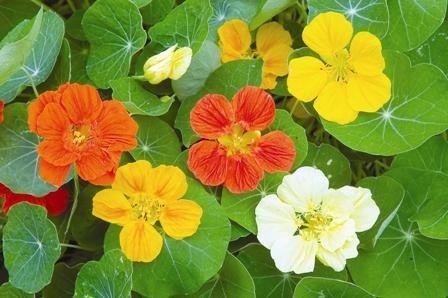 There seem to be endless recipes on how to stuff the above edible plant, commonly known as a Nasturtium. Shirley Conran in her book ‘Superwoman’ famously said that “Life is too short to stuff a mushroom”. If that is the case, then it is definitely too short to stuff a Nasturtium! 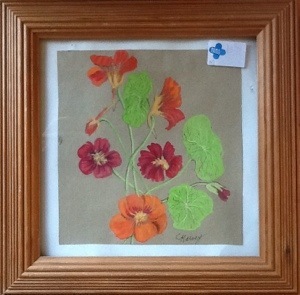 Talking of Nasturtiums this next original watercolour is of that very plant in all it’s glory and unstuffed. I think it is rather beautiful and it was painted by a Mrs C. Harvey of Henley-on- Thames. It could do with being properly framed but it only cost £2.95.